I would say this books was either relatively good or relatively bad. It follows a man named Joe, who is clearly having a mental breakdown, he throws his entire life away to follow some dog he finds. 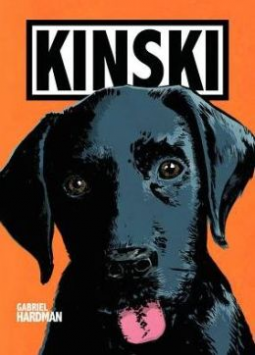 After finding the runaway dog he later names Kinski, he embarks on a journey that takes him all the way down to Mexico to recover the dog. Clearly this man is all kinds of crazy, he does all this for a dog. It was evident that he was having the equivalent of a midlife crisis in his, what appears to be his maybe early, maybe mid-thirties. It's a toss up on wether you should read or not, the story isn't that long. The art is like old school, black and white, so that was cool. The book was okay, I just could not get behind the doing all that stuff for a dog.